A large explosion seems to have occurred a few hours ago at the volcano. 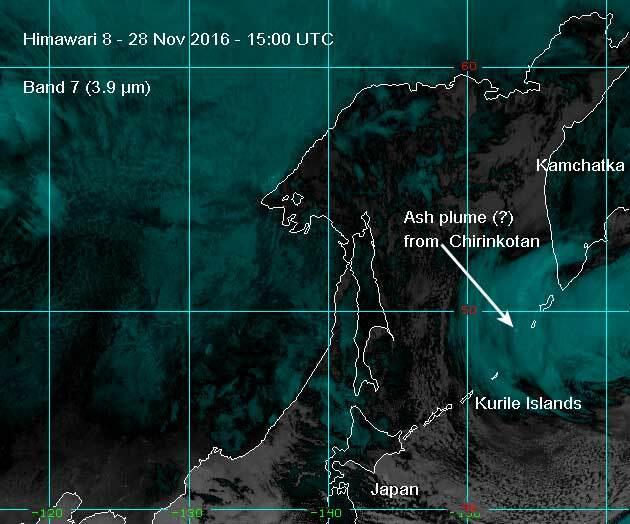 A possible ash plume penetrating a thick deck of clouds was spotted by VAAC Tokyo on Himawari-8 satellite data. If the data interpretation is correct, an explosive eruption has occurred that produced a plume of approx. 10 km altitude which is drifting north. The remote volcano forming the uninhabited island of the same name is one of the most active of the Kurile Chain. It has often had relatively large explosive eruptions which pose a threat to air traffic on the busy N-America E-Asia routes. It is not monitored other than by satellite imagery.